It is possible combine the “book” object with the most advanced interactive technologies? The workshop provides the means and knowledge to animate and make sensitive text and images through learning the Vvvv software and direct reading devices such as a webcam / Kinect. 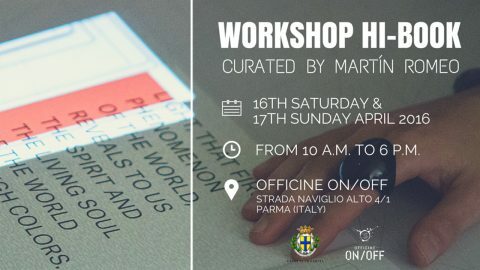 The workshop offers a chance to experience, play and learn about new technologies for the realization of an artifact of publishing imprint. It is an occasion to reflect on the “book” in an innovative way by combining different media. -Learning of the main features of Vvv software, locating a book, page allocation to participants and realization of content with images, videos and sounds. -Processing of the items collected starting from the themes of the book, proof of relationship between pages and digital images combined to build a storytelling. -Grouping of projects, creation of interactive book and exhibition trials with public presentation.